Consignments for our 4th July auction are arriving and they include a very rare WW2 Submarine “Jolly Roger” Pirate Flag attributed to the Royal Navy Submarine “Thule”. The ship was commanded by one of the most successful British Submarine Commanders of WW2 Lieutenant Commander Alastair Campbell Gillespie Mars, DSO, DSC and Bar, who operated in the Far East 1944/1945. He would later write a book on his wartime experiences in HMS Thule. The Jolly Roger records some of the actions she took took part in the The bars to the left representing: 8 enemy vessels, both warships and merchant ships sunk. 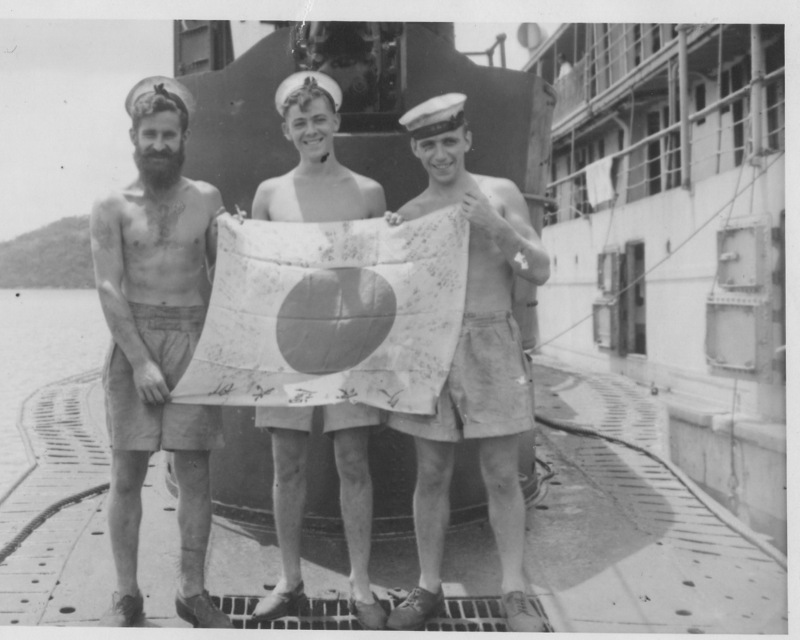 The two daggers representing clock and dagger operations, dropping off and recovery of agents, these taking place on the subs 4th War patrol on the East Coast of Malaya. Crossed guns and three stars representing 3 sinking, as a result of surface actions. Able Seaman Fern, with his shipmates.